Don't let the unknown keep you from becoming a homeowner. We can help you work your way through the process. E-mail us at smorris@morriswilliamsrealty.com. Let's talk about "escrow". When you're closing on your new property, an escrow company is used to insure the process will close properly and in a certain amount of time. A home is said to be in escrow when in the closing process, funds is held by a third party on behalf of a buyer and a seller when the transaction is taking place. For example, in an Internet purchase, PayPal is the secure third party that obtains the buyer's money, and then disburses the funds to the seller. 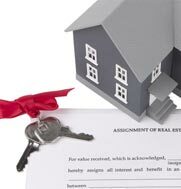 Clearing the final hurdles like obtaining funds, completing forms, getting the documents for loans and liens, and assuring you get a spotless title to the property in preparation of your purchase gets finalized are all part of the job of the escrow company. You're ready to close when all parts are done in escrow process. At this time, all payments and dues for inspections, title insurance and real estate commissions are taken. Title to the house is then transferred to you as new owner and related title insurance is issued as outlined in the escrow policy. When closing is completely finished, you'll make a payment to the escrow agent. We'll keep you up-to-date on the procedure. A Mortgage Escrow Account is used to pay rolling fees while there is a loan on the house. Generally, the Escrow Account is partially funded at closing and the home buyer makes on-going contributions through their monthly mortgage payment. This is a simple outline of the escrow process. Your specific process may be different depending on your bank and your escrow holder.